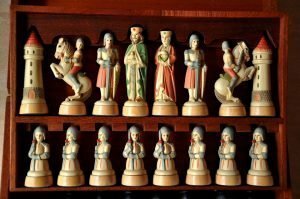 Von Furstenberg Style Chess Set. This lot features a rather unusual figural chess set in the Von Furstenberg Style, cast in black and ivory plastic. 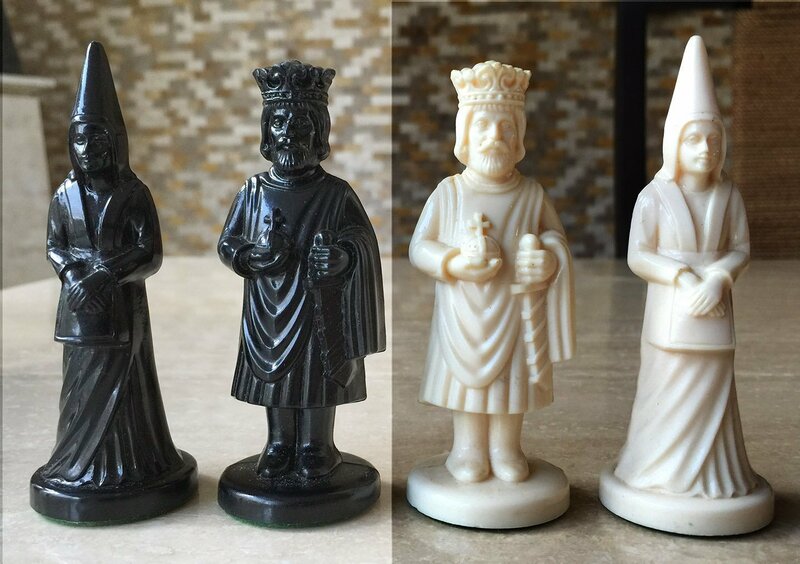 The tallest piece, the Queen, stands 3.8″ tall with a 1.4″ base diameter. The chessmen are weighted and rest atop olive green felt base pads. 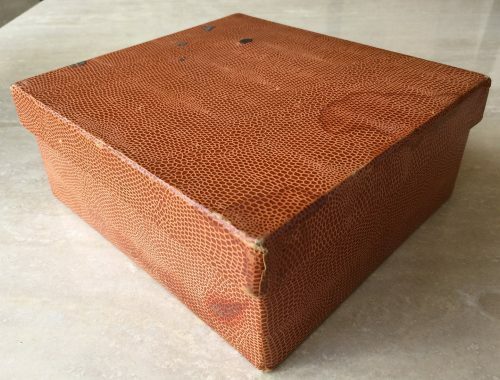 The pieces are housed in a simulated a tan alligator skin covered cardboard box with dividers to separate the standing pieces. 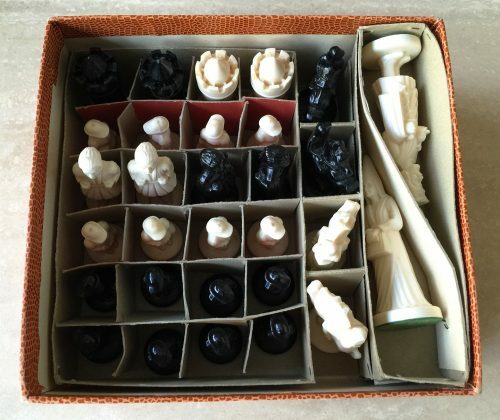 These chessmen are similar in concept to porcelain chess sets produced in 1947 which were taken from the original 18th century mold to commemorate the bi-centenary of the Furstenberg factory.